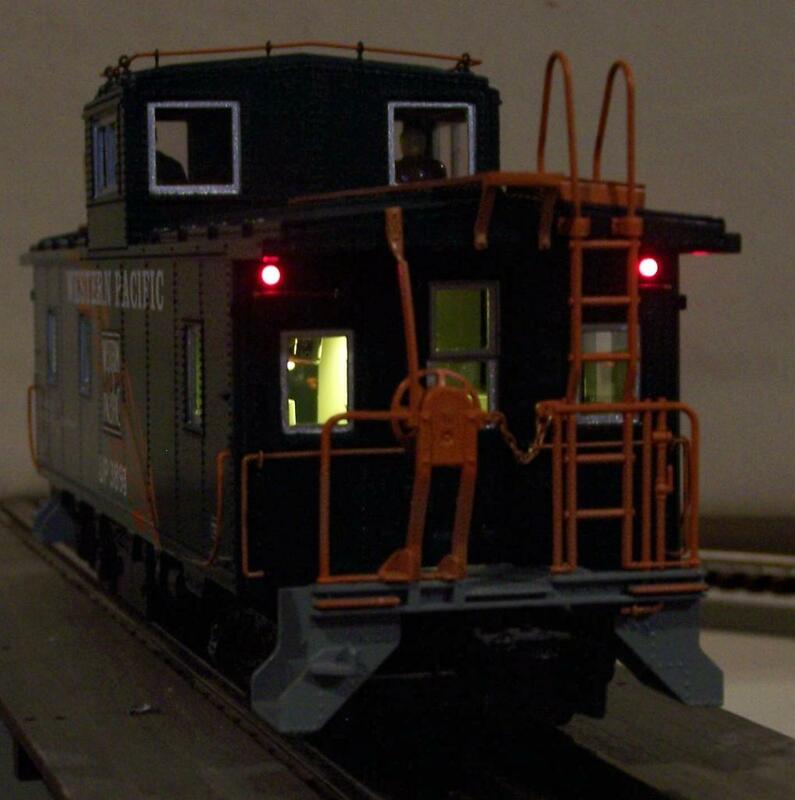 Kit supports most cabooses with 5” interior length. Three LEDs provide light to main area. 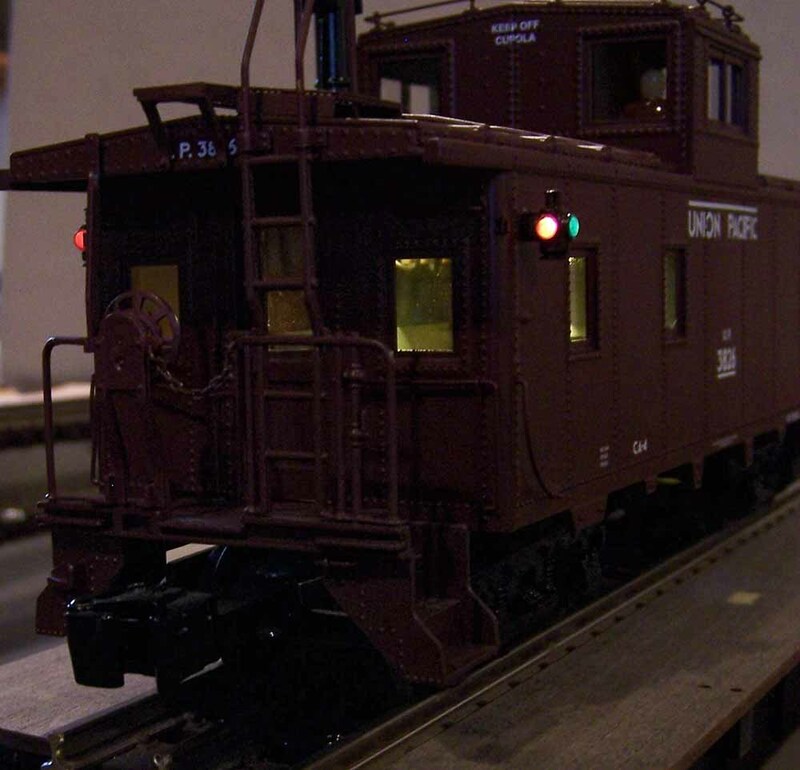 Kit will also support most American Flyer passenger cars and other short passenger cars (O Gauge). Brightness user defined. Flicker free. Option to add marker driver voltage (add note of manufacturer and voltage required). Or add two rear facing red LEDs for rear markers. 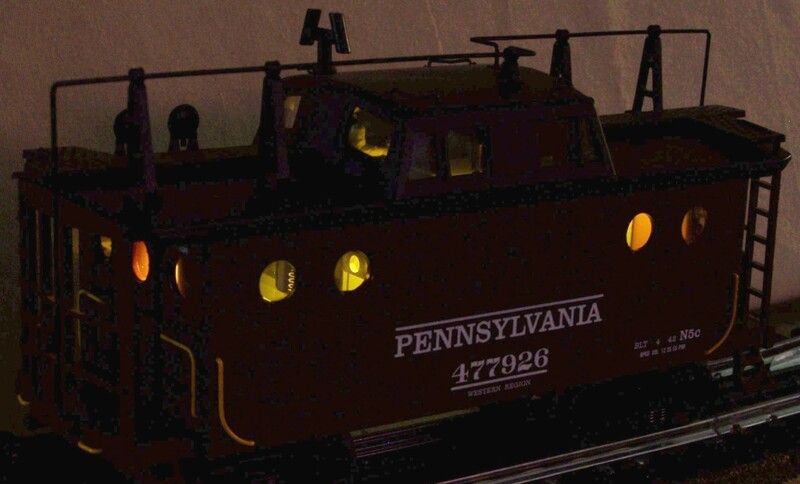 And can add Tomar scale marker lanterns with bulbs and supporting drive. If you have a custom application not shown here, feel free to email us. The standard marker lighting is 3 Volts DC that will support two 1.5 VDC bulbs or LEDs in series. If you need something different, let us know as this will be a custom order with a $3 increase in cost.